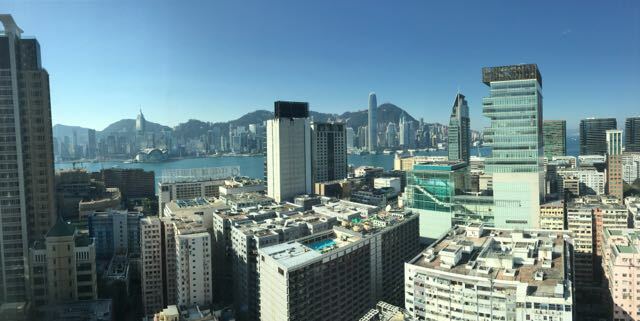 Currently there are three Hyatt properties in Hong Kong, only one of which is on Hong Kong Island (Grand Hyatt). The Hyatt Regency Hong Kong Tsim Sha Tsui is located just across the Harbor in Kowloon, more lively and active part of Hong Kong. It was suggest to me that I stay in Kowloon, a suggestion I would pass on to others. There are many more options for shopping and dinning. In addition, there are more/easier transit options from the Hyatt Regency Hong Kong Tsim Sha Tsui than from the Grand Hyatt as it is built directly over the TST subway stop. You can also walk to thousands of stores and restaurants within mere blocks of the property. Getting to the Hyatt Regency Hong Kong Tsim Sha Tsui from the airport is easy. 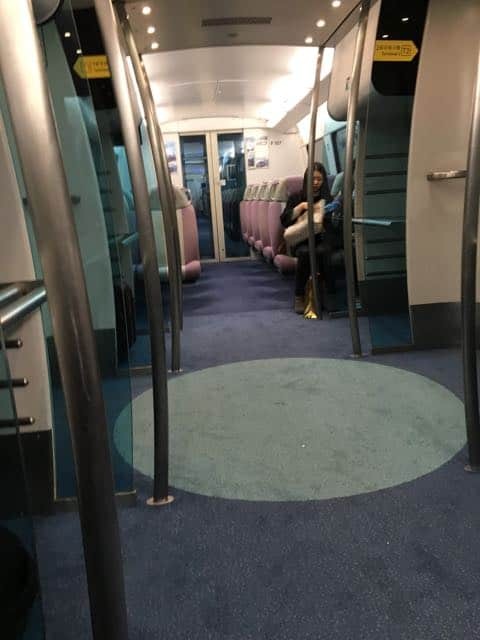 I took the Airport Express train that costs 90 HKD (about $13 USD) each way and takes about 20 minutes. The train station is located in the airport between Terminal 1 & 2 and leaves every 10-12 minutes. There is only one stop between the Airport and Kowloon Station. 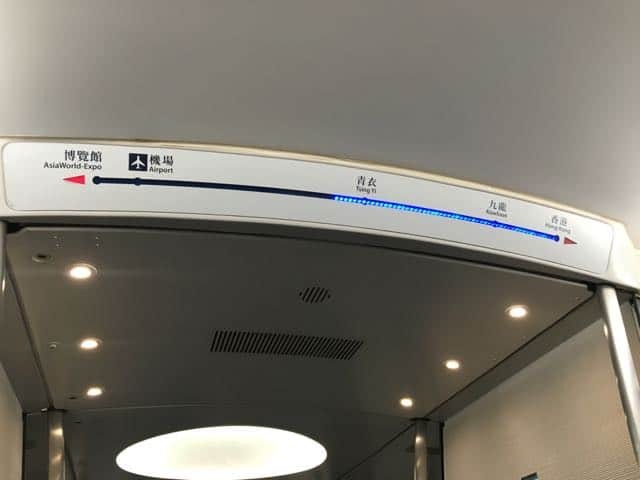 The train is comfortable and clean. Once you get to Kowloon Station, there is a free shuttle bus (K3) that takes you to the Hyatt Regency Hong Kong Tsim Sha Tsui. On the way to the hotel, the Hyatt is the second stop and it lets you off at the lower entrance. On the return to the airport there are 5-6 stops before Kowloon, so give yourself plenty of time to get the airport. The Hyatt Regency Hong Kong Tsim Sha Tsui occupies the first 24 floors of the K11 building; one of the tallest buildings in Kowloon. 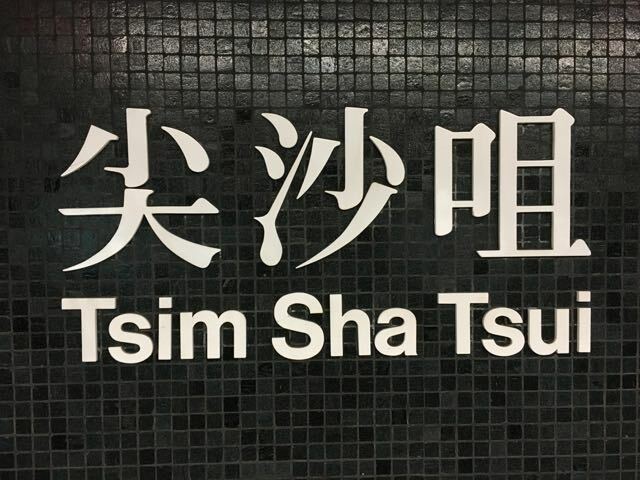 There is a mall in the basement as well as the TST subway station (note, this subway does not go to the airport or the Airport Express station). 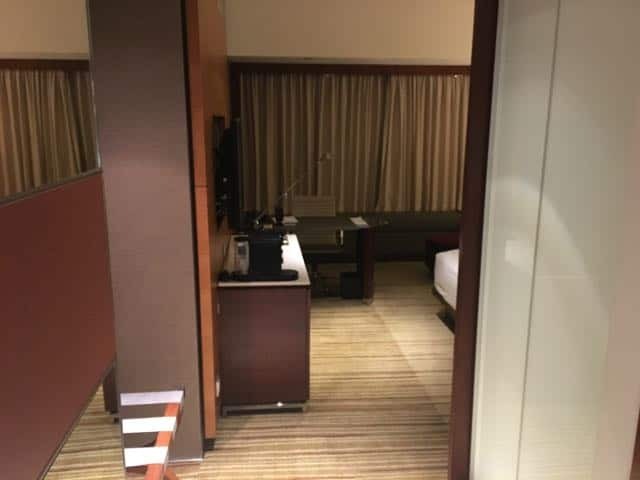 Check In: I arrived at the Hyatt Regency Hong Kong Tsim Sha Tsui around 11:00pm and the Regency Club was closed for the night. However check in was quick and there was no line at that hour (check out, on the other hand, on Chinese New Year took about 20 minutes). 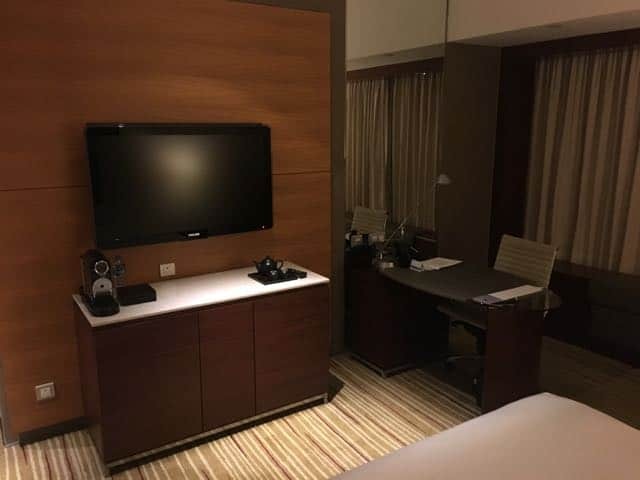 I was “upgraded” as a Hyatt Diamond to a Harbour View King room on the Club Floor (23). As I got to my floor the Club door was still open and the staff let me in to grab a bottle of water. The Room: The Hyatt Regency Hong Kong Tsim Sha Tsui bills itself as a 5 star hotel (although I don’t know what exactly qualifies a hotel as 5 stars, if there is any sort of standard), however it is a Regency branded property, so you know it isn’t going to be as nice as a Park or Grand Hyatt. The room (I had a standard Harbour View King) was small as one would expect at a Regency. However it is clearly new and very well maintained. Definitely a step or two up from a room at a Regency in the US. As you enter the room the bathroom is off to the left which can be shut off from the rest of the room via a pocket door. The bedroom is as you would expect; just enough room for the bed, TV, work station and chair. Large windows allow for a very impressive view of Victoria Harbour. 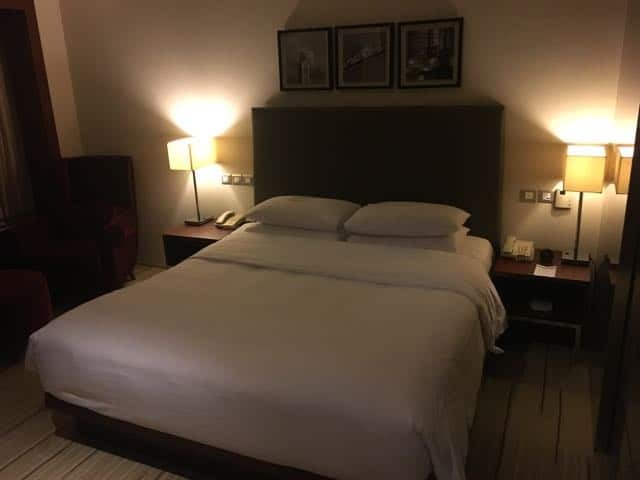 The bed was comfortable and the linens were all fresh and high quality. The black out curtains worked at keeping light out. The light switches were a bit complicated to work; there was a button for “All On/Off” and another two for “All Off” (but didn’t turn the lights back on). 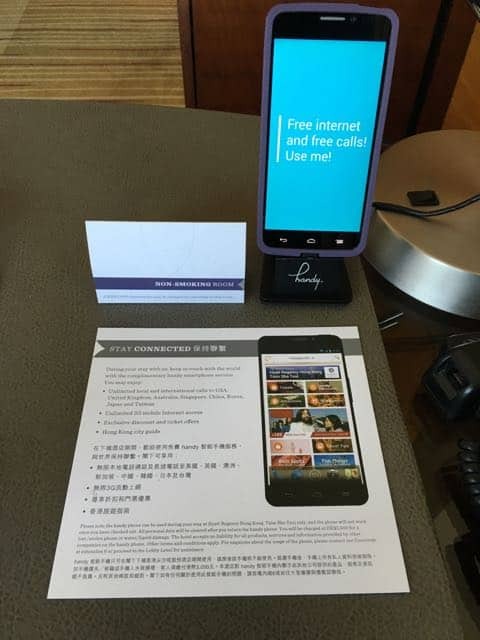 Another feature of the room is the loaner “Handy” smartphone. Basically it is an advertisement that you can take with you as you explore Hong Kong; allowing you to browse the web and make phone calls for free. I tried it out but found my iPhone with T-mobile worked just as well. You can also book tickets via the phone at a discount. I bought a ticket up to Victoria Peak via the tram at a discount; however I stupidly booked the wrong date and was not allowed to make a change. 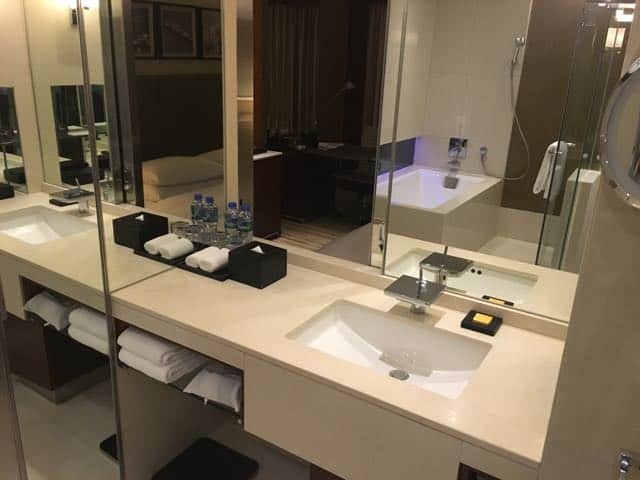 The Bathroom: The bathroom at Hyatt Regency Hong Kong Tsim Sha Tsui was nicer than I expected from a Regency property. It was large and stark white with two different lighting options. 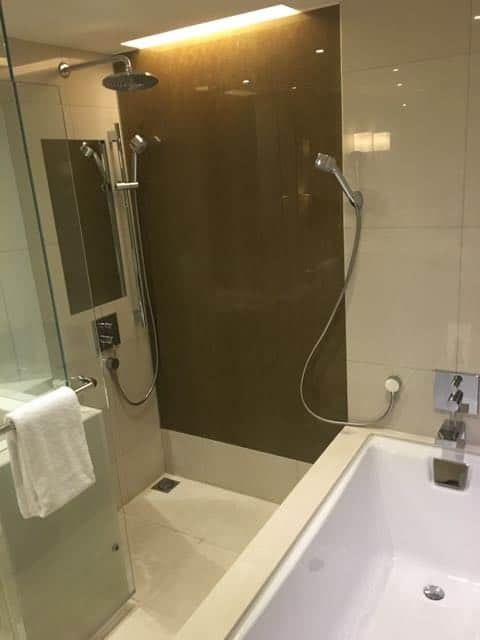 There was a large walk in shower separate from the soaking tub with both a rain shower head and wand. 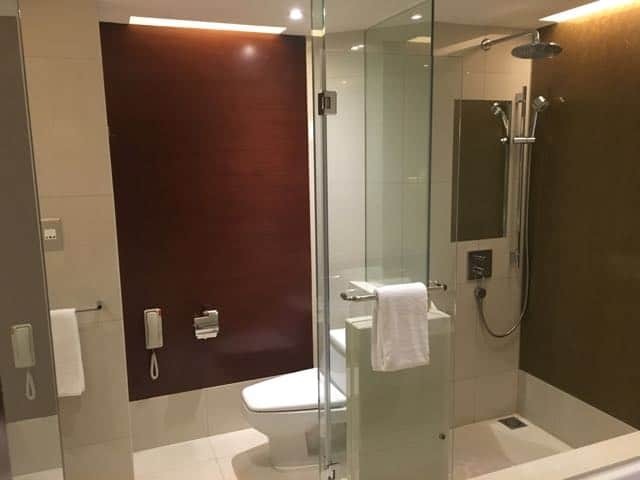 My understanding, however, is that no all rooms have a bath. 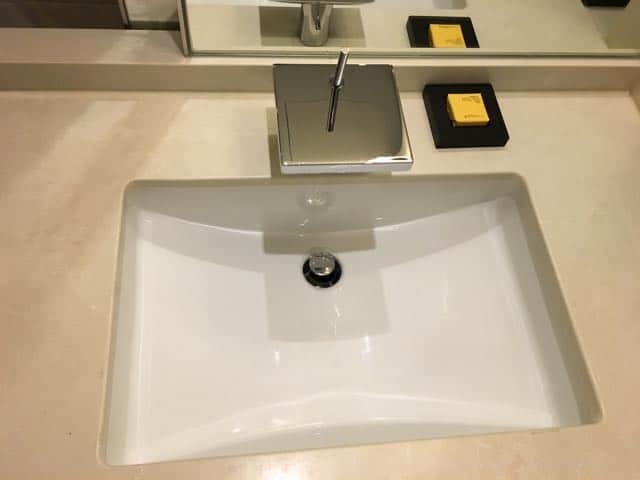 Single vanity with waterfall-like faucet (which took a while to warm up). 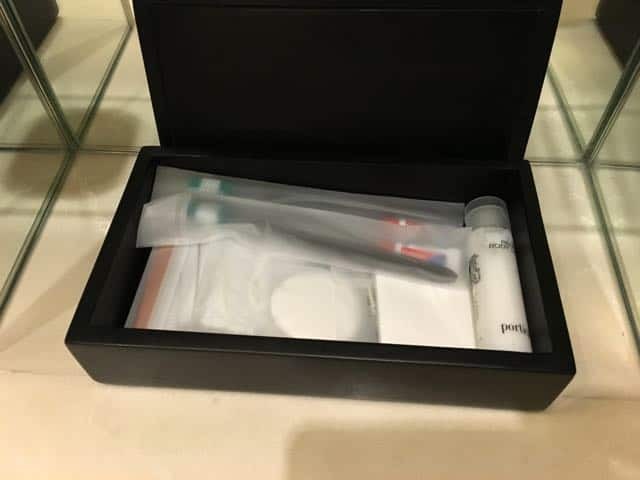 The products were Portico and there was a “Hyatt Has It” box of additional necessities. 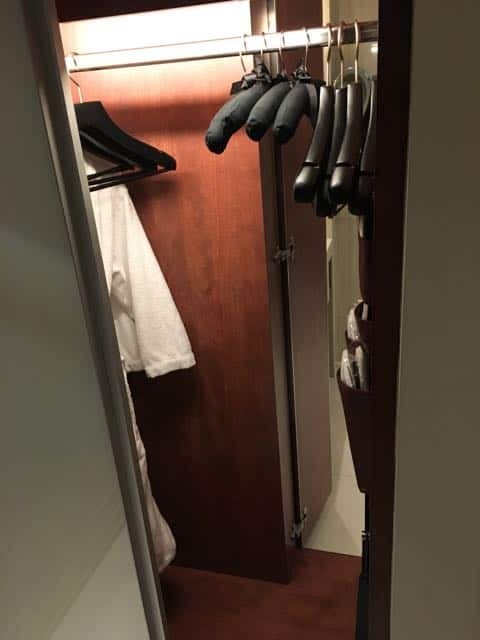 A nice touch was the pass through closet that you could access via the entry or the bathroom. 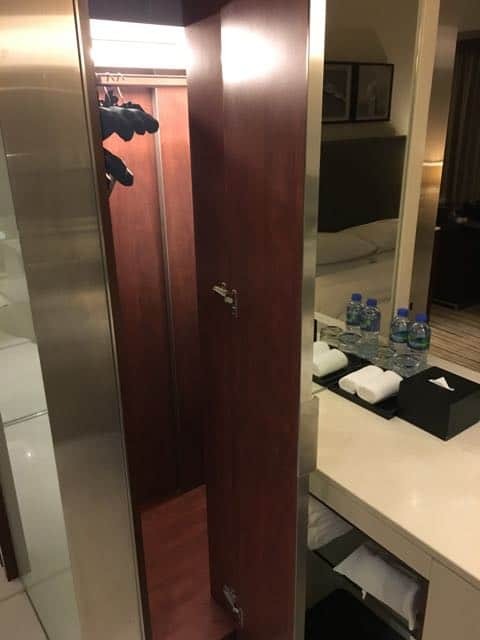 A sliding mirror could also be opened into the bedroom area to make the bathroom (and entire room really) feel more open. 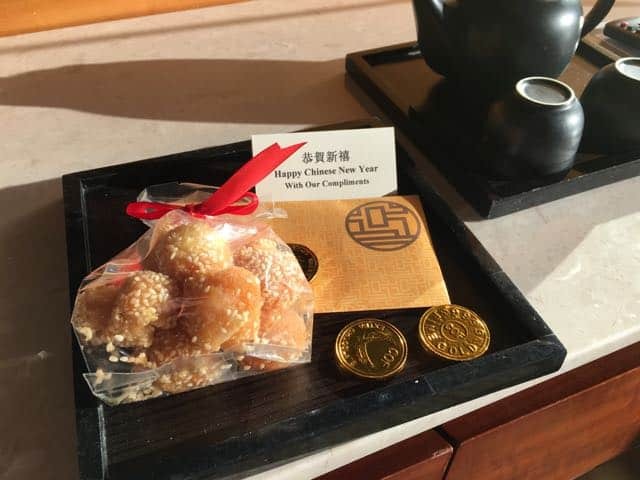 Regency Club: The Regency Club at Hyatt Regency Hong Kong Tsim Sha Tsui recently closed for the month of January 2016 for renovation, so I was staying there just after the reopening. I found it to be a beautiful lounge because of the views. Yes, it was crowded. Yes, there were kids. But really not the fault of the property. The staff was fantastic. Very helpful with planning my trip to Macau and other points of interest. Extremely friendly as well and good at remembering the guests. Breakfast and happy hours as to be expected. 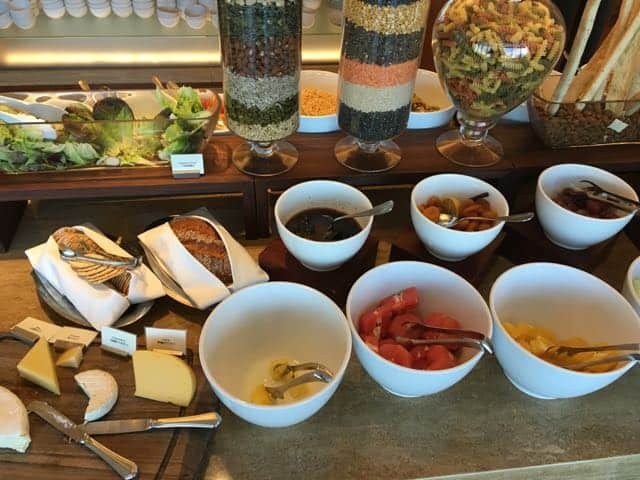 I was able to eat a solid breakfast in the morning and a snack during the happy hour. Pool: I was not impressed with the pool. It is on the 8th floor (although elevators only go to the 9th floor, so you have to walk down a flight of stairs). It is shared with the condo/apartments that are above the Hyatt. You are required to check in and get a wrist band to use the pool facilities and get one towel. It is a very regular pool and odd shaped hot tub that was barely lukewarm (oddly shaped in that there was a 2 foot perimeter to the hot tub with about 1 inch of water before you could settle in to the water). There was a gym available as well that I didn’t check out. Service: Most of the staff I interacted with were friendly and helpful. The housekeeping did a nice job and made up the room twice each day. One day I came back to this New Year treat. The only hiccup was upon check out; I had to wait about 20 minutes as the staff seemed totally overwhelmed with groups checking in for Chinese New Year. 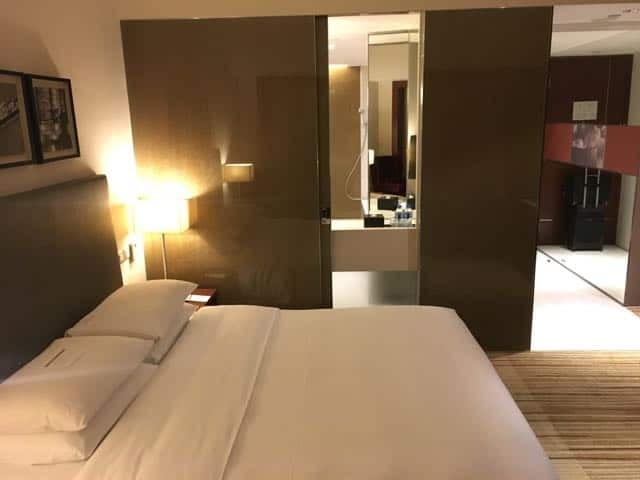 Overall: I have heard that the Grand Hyatt Hong Kong is a beautiful property but I don’t think the location is near as good as staying at the Hyatt Regency Hong Kong Tsim Sha Tsui in Kowloon (my personal opinion). 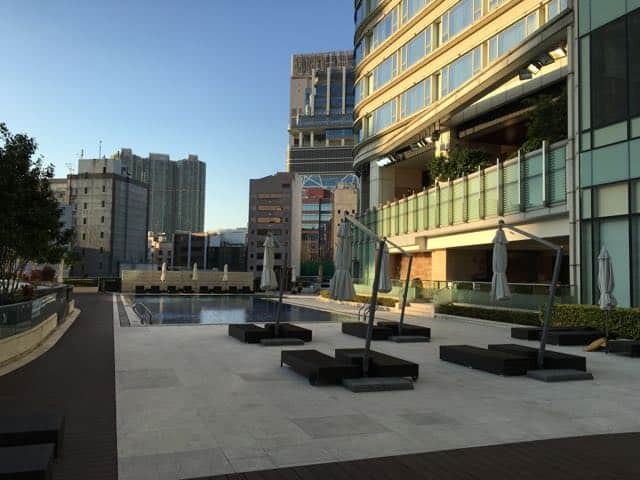 The location is fantastic with tons of things to do just outside the hotel door including access to the subway that is only two stops to Central Hong Kong. The property is new and in great shape. 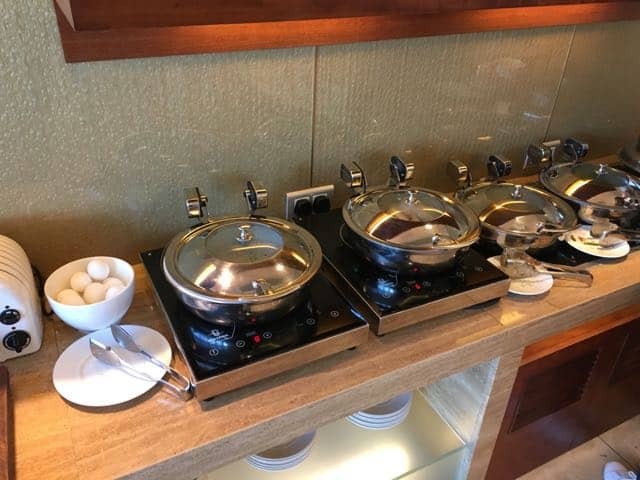 The staff, especially in the Regency Club, were very helpful and friendly. Much better than any Hyatt Regency (or many Grand Hyatt) in the US that I have visited.